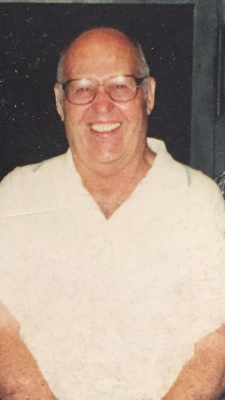 ALTONA-Earl Joseph Morrow, 86 of Altona passed away Saturday, May 28, 2016 at his home. He was born May 2, 1930 in Altona, the son of Frank and Bertha (Staley) Morrow. He along with his wife, Betty was the founder, owner and operator of the local landmark that everyone knows as Morrow's Store. Earl began his adult life in the late 1940's as a farmer, working the farmland where his store now sits. In the spring of 1952, Earl had the idea that he could be successful at his own business so in 1952 he partnered up with his brother in law, Homer Seguin to buy the land and build a service station which was known as Morrow's Garage. They sold Gulf gas and oil, opening up for the first time on Thanksgiving Day in 1952. In 1953 Earl proceeded to grow the business on his own, adding groceries and beer in 1957. The business expanded in 1965. Earl's efforts were paying off. A new two story addition was built. The first floor was for the new store and the second floor was where he and Betty planned to raise their family. The new store opened for business on Christmas day in 1966. In 1968 the Morrow's added a liquor store. He bought the Kitchen Cook potato chip franchise and built a very successful route. In 1976 Earl opened an auto parts department where the original service station was. Over the years the business has changed into something bigger but one thing remained the same, you could always count on seeing Earl at the register. Earl was a member of the Knights of Columbus and an avid baseball fan. He loved the Montreal Expos and was a season ticket holder. More recently he was an avid follower of the Washington Nationals. He liked to fish and spend time with his family. Earl was widely known as a great listener and conversationalist, and above all, one of Hillary Clinton's most fervent supporters. He was predeceased by his parents; one son, Dennis who passed away July 24, 1972; six brothers, Charles Morrow, William Morrow, Jack Morrow, Millard Morrow, Harold Morrow and Harry Morrow; three sisters, Edith Baker, Charlotte Patnode and Frances Morrow; he was also predeceased recently by his nephew, Roger "Butch" Baker who was like his brother. They grew up together in the same house and were lifelong best friends. Survivors include, his wife, Betty (Seguin) Morrow whom he married August 18, 1951 at St. Edmund's Church; three sons, Steven Morrow and his wife, Susan of Chateaugay, David Morrow and his wife Janice of Amsterdam, Kevin E. Morrow and his wife Dawn of Altona; one sister, Katherine Seguin of Ellenburg Depot; eight grandchildren, Melissa Ohashi, Kristia Brownwood, Rick Sequin, Lisa Sequin, Jaclyn Morrow, Gregory E. Morrow, Kyle Morrow and Chelsea Morrow; several great grandchildren and one great-great grandchild. Calling hours will be Thursday, June 2, 2016 from 4:00-7:00 p.m. at the Ross Funeral Home in Mooers. A Mass of Christian Burial will be celebrated 11:00 a.m. Friday at Holy Angel's Church in Altona. Interment will follow in the Holy Angel's Cemetery. In lieu of flowers, donations may be made to the Holy Angel's Church fund or the Altona Fire Department.